For every baby weaning is such an exciting time, after all, they try new tastes and textures. And at first, it is all about fun, learning and experimentation. Think if you would be drinking warm, sweet milk all day long, for every day of your life, and then suddenly one day your mother is grinning at you like mad and you are tasting vegetables and fruits. Would be strange, huh? Astonishment, fright and delight comes all at once, that is why babies push food all around their mouth, push it out by mistake, push away the spoon and sometimes even grab for more. Therefore, if you want to have a good start for weaning, here are few advices. There is no way that your baby will be in the mood for food if they are sleepy. Choose a suitable time of day when baby is awake and alert, but not distracted. Also, make sure you have got plenty of time because you surely do not want to rush. 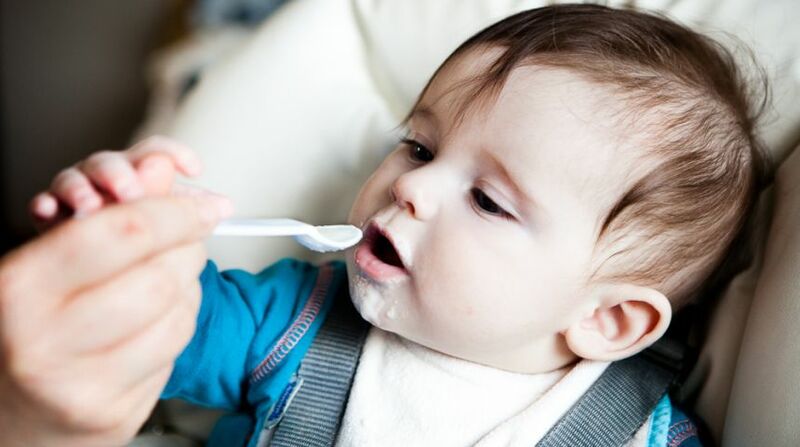 When it finally comes to weaning, mums certainly need all the support they can get on what to introduce, when and how to get little ones eating and a variety of proper foods for the first time. A great beginning might be with a smooth purée at the start. Good foods for puréeing include mostly fruits and vegetables. So you may try mixing up some apples and pears or maybe potatoes and carrots. Also, you may ripe well mashed banana and you are ready to go as well. You can also consider trying finger foods, like soft fruit or avocado that the baby can easily pick up. Cut pieces to about the size of your own finger, so your baby can hold them. Just make sure you do not give soft round foods like grapes or cherry tomatoes that your baby can choke on. All beginnings are small, that is why you should start off with only a few teaspoons of food. Just a little bit of solid food on a spoon or on the end of a clean finger is truly enough. However, make sure the food is cool enough, simply test it before your offer it to your baby. The very first mouthful may come straight back out because your baby has pushed his tongue forwards as he does when he is breastfeeding or drinking from a bottle. It might take a few mouthfuls or even a few meals to work out that if they push their tongue backwards, the food will stay in their mouth and they will be able to swallow it. There is no need to worry about the mess. By the way, you should have expected it. Just let your baby touch and hold the food if he wants to. He might like the holding the strange and exciting thing - spoon, too. If it does not work, try again the same thing another day. Your baby might not be interested at first, but do not be nervous or force him, just be sure to wait until the next day and give it another try. It is a strange thing seeing that little beautiful creature trying everything and being so exciting, while those things for you might be so usual. But that is where the beauty hides.